Reservations can be made online at www.okaloosaarts.org or by contacting Amy at amybaty1@gmail.com or 850-499-8335; tickets are one for $25 or two for $45. More information about the Twisted Grape can be found at www.twistedgrapewinebar.com. 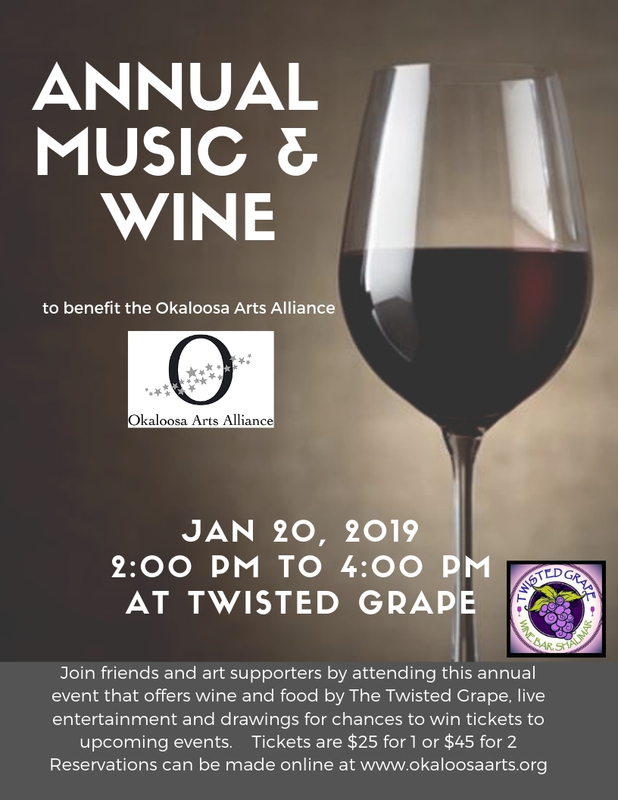 All proceeds will benefit the Okaloosa Arts Alliance.